Cannabis entrepreneurs that have received loans from friends or family members to fund their businesses paid an average of about 11% in interest on that capital, according to a Marijuana Business Daily survey of executives in the industry. At first blush, that may seem reasonable since many people pay more than that for balances on their personal credit cards. 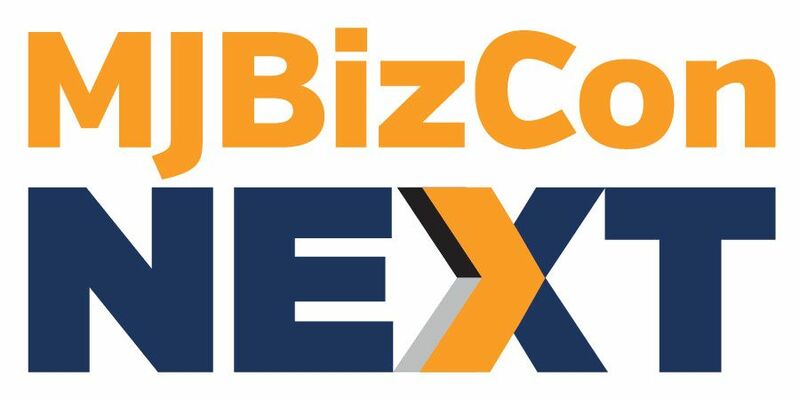 However, circumstances for cannabis entrepreneurs are far more nuanced than that and vary greatly from state to state and business to business. Nearly a quarter of cannabis companies that landed financing from friends or family members – a widely used funding method in the marijuana industry – paid interest rates of 10% to 15%. A shocking one out of 25 paid at least 30% for that startup capital. 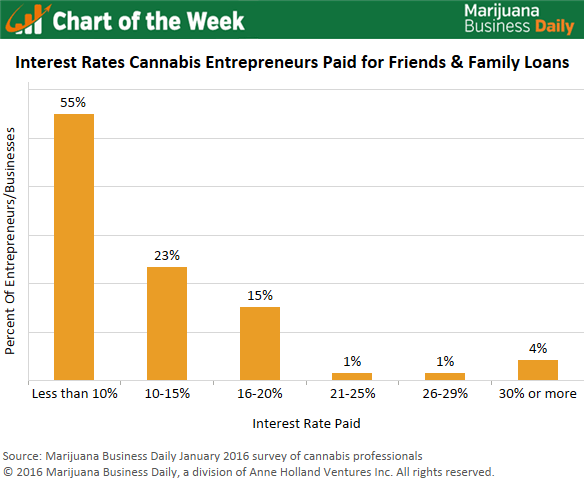 The good news is that 55% of cannabis entrepreneurs that received loans from friends or family paid interest rates of less than 10% for that money. The Small Business Administration – which offers financing to businesses traditional banks may not be interested in serving – charges between 5.75% and 8.25% for its most common loan type, and only 3.45% to 4.13% for loans specifically earmarked for real estate purchases. In this context, it seems a majority of cannabis entrepreneurs got pretty fair deals on those loans from friends and family. Many cannabis entrepreneurs that started their companies within the past couple of years have been able to negotiate more reasonable interest rates on all types of investor capital compared to owners that launched their businesses in the early days of the industry. That being said, cannabis remains an extremely risky business to engage in. Generally, higher costs of capital will persist until the operating climate for the industry changes significantly.